RHRLI is the place to go if you’re looking for a permanent solution to hair loss or thinning hair, but we know that the journey to that decision can be filled with emotion. When you discover that you are losing your hair, it’s not uncommon to have intense feelings about it. Researchers have studied the psychological impact of hair loss, therapists see its effect on their patients and those patients have their own story to tell. RHRLI wants to urge you to seek help if you are overwhelmed by feelings related to your hair loss. 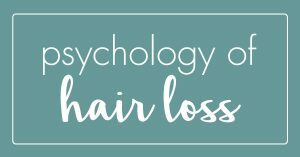 You’re not alone and we want to share information about the psychology of hair loss. Barth believes that hair loss can be traumatic for both men and women given our culture’s emphasis on physical appearance and youth. She says, “it is crucial to remember that the thickness of your hair has nothing to do with your value in the world.” Barth insists that those who choose medical treatment and those who don’t should not be ashamed of their decisions. Because hairstyle and color can often be tied to self-identity for women, hair loss can be particularly painful. “I love who I am, but at the same time, for me to walk out bald, it’s so hard because there’s so much trauma growing up,” Vanessa McWilliams of Calgary told CNN. Thinning hair and hair loss can be a struggle and RHRLI can assist you in making things easier. We’re the only hair loss treatment center on Long Island that has the ARTAS® system, a state of the art procedure which employs robotic technology to give you a healthy head of hair. Your thinning hair doesn’t have to be a burden. Contact RHRLI today.